I recently checked out Wine by One with a fellow American. 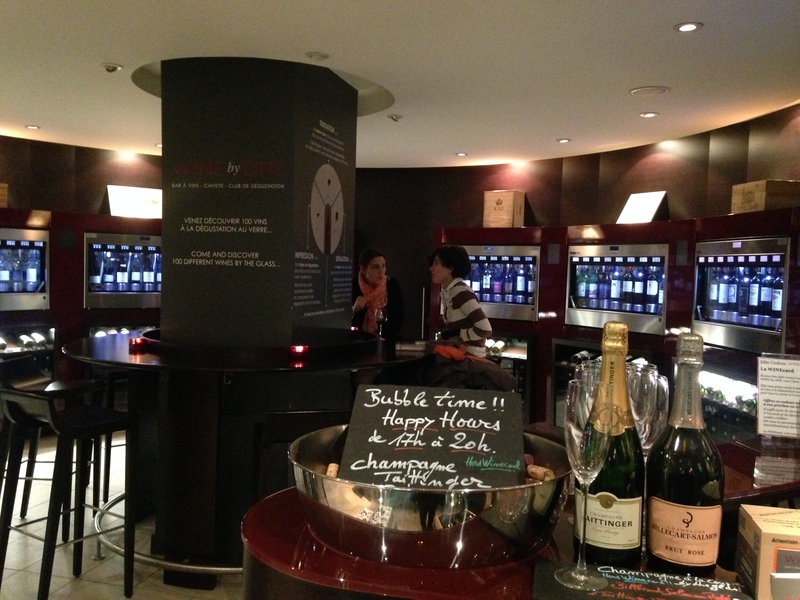 Now THIS is what I call a wine bar! I absolutely love the concept, as it allowed us to try many different wines for a reasonable price. How it works: You go in and receive a little wine debit card. You can put any amount you want to on it. After your card is loaded up there's a half circle room filled with wine dispensers waiting for ya. You have everything from white wines starting on the left, rosé, reds then on to your dessert wines & fancy expensive wines on the far right. 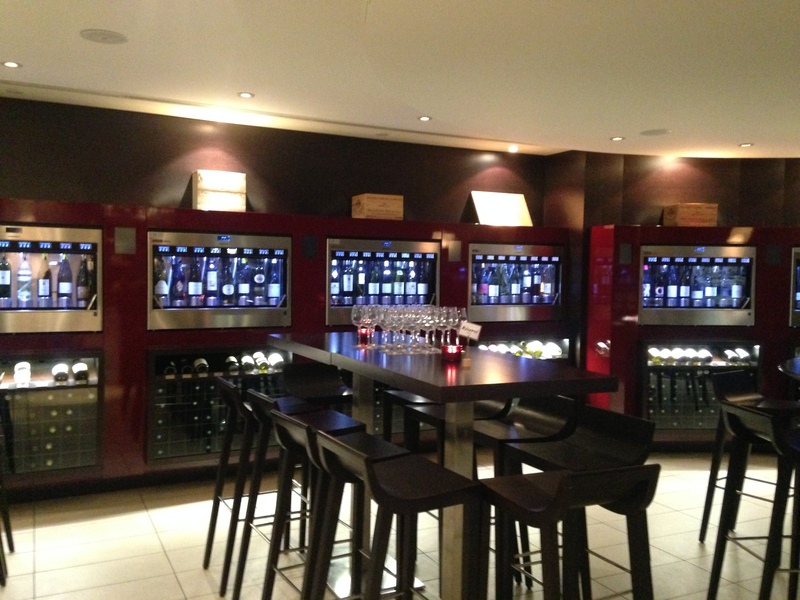 The wines are dispensed in 3 different pour sizes with corresponding prices for each amount. 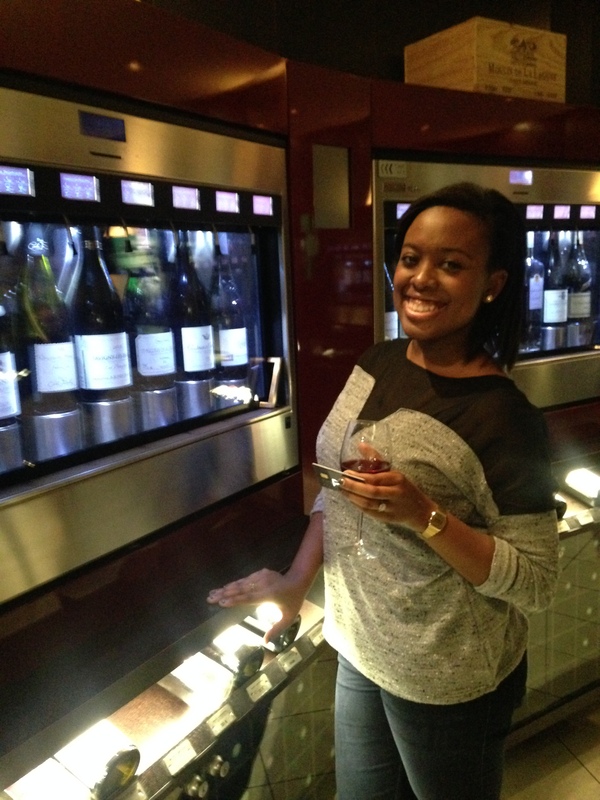 After choosing a wine, you place your wine debit card in the dispenser machine and it shows the total amount you have on your card. Next, select the size pour you want you want and place your glass under the spout. Easy! I love how we were able to just go and grab a refill whenever, no need to wait for a bar keeper! 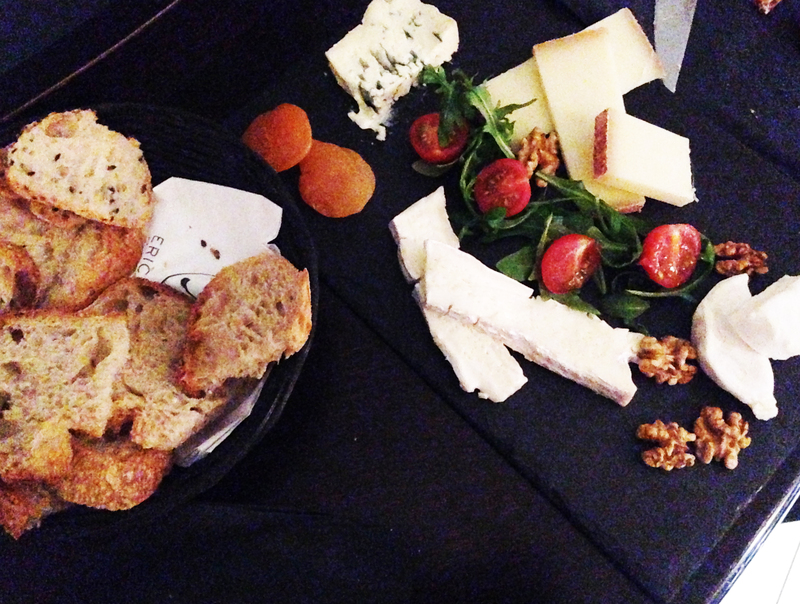 They actually had a pretty legit cheese plate for a pretty good price as well. With blue cheese, Comte (freaking delish), brie and goat cheese. If you plan on checking it out, which of course I'm highly recommending, make sure you get there at the start of happy hour. It got pretty crowded about an hour in. 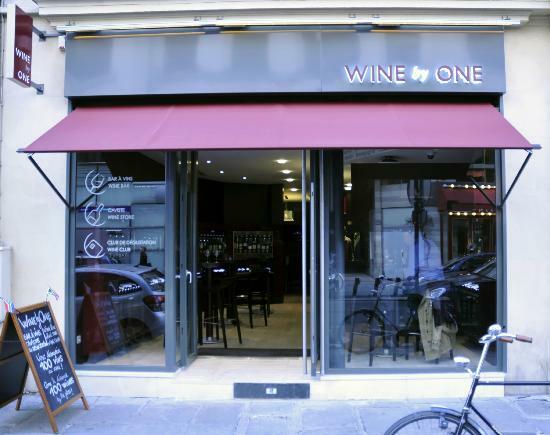 Wine by One is located in the 1st arrondissement, not too far from the Opéra metro stop.